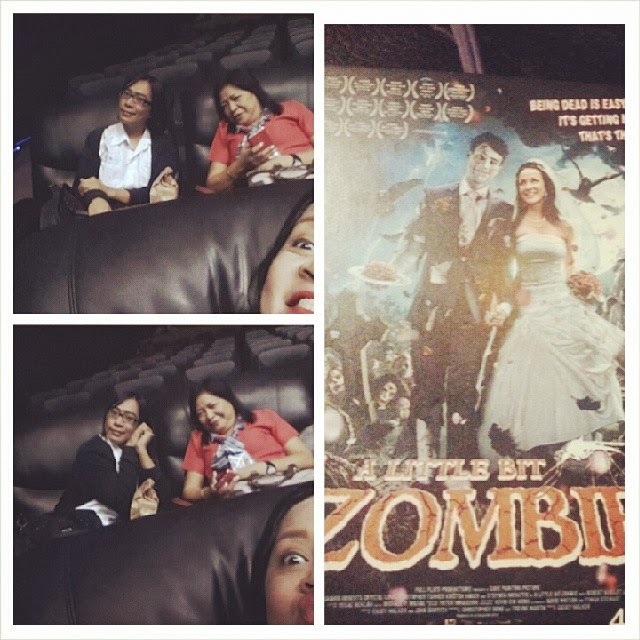 We had a little bit of scare and more laughter watching A Little Bit Zombie last night at SM Cinema 6, SM Megamall, Mandaluyong City. 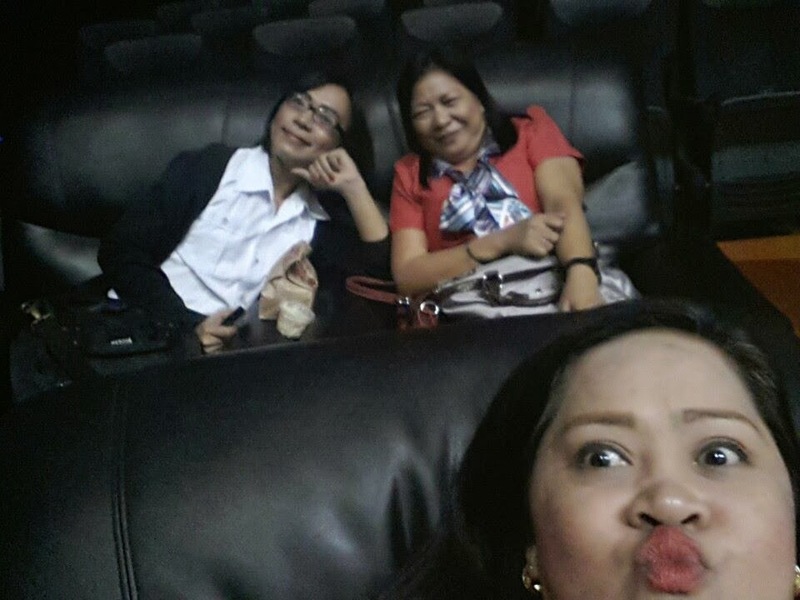 My co-teachers and I thought of a night out before the EDSA Revolution Holiday experiencing the comfy La-Z Boy chairs at SM Cinema 6 in SM Megamall. The movie starring Kristoffer Turner (as Steve), Crystal Lowe, Shawn Roberts, Kristen Hager, Stephen McHattie, Emillie Ullerup, George Buza, Robert Maillet and Neil Whitely was about a groom bitten by a mosquito who bit a zombie and turned him to a bit of a mutant zombie. In the beginning, it seemed scary with sounds I used to hear from horror movies until the girlfriend Tina went into cat-fight with Steve's sister Sarah. The chaotic comedy punctuated with scenes of drool everytime the word "brains" were uttered kept me awake and laughing. The movie was rated R-13 by the MTRCB maybe because of the graphic violence of shooting brains towards the climax of the movie. Throughout the film, I was reminded of the game Plants VS Zombies and laughed the whole time Steve would try to eat a human brain. This was more of a teen movie best enjoyed with the pack of buddies you snarl and laugh with. I loved the experience of laughing so hard with friends comfortably snacking on popcorn in our La-Z Boy chairs. The reviews from the experts may categorize it as one of them B-movies but it's worth a a fun movie night with friends this week especially when you've lost your heart over a break-up last Valentines. Will Steve eventually eat human brains? Watch A Little Bit Zombie showing at selected SM Cinemas nationwide starting tomorrow. Visit http://www.smcinema.com for more details.